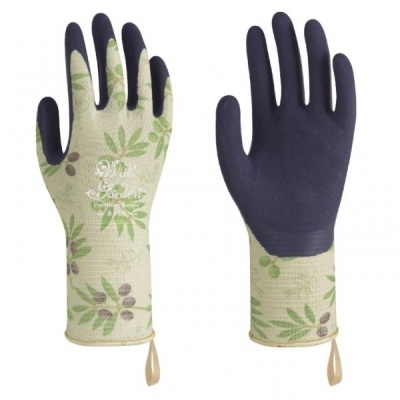 When you're looking for a pair of gardening gloves, it's important to consider how flexible they are. The WithGarden Luminus 369 Premium Latex Olive Patterned Gardening Gloves are designed with MicroFinish technology to improve their flexibility, allowing you to perform intricate tasks with ease. These gloves use MicroFinish technology, which helps improve your grip and flexibility while reducing hand fatigue. Find out more by watching the video below!